Interested in becoming a hockey umpire? To get you started, we have put together a step by step process of how to become a top class umpire. The best way to start umpiring from scratch is to get out and watch experienced umpires in action. This will give you the basics of how the rules are implemented and how games are managed. Of course it is also advisable to read and understand the rules as laid out by the FIH. Once you feel you have a basic understanding of the rules, put yourself forward for some club games in the lower leagues. This will give you a great opportunity to learn the basics and understand how the game work’s from an umpire’s point of view. Once you feel you are ready for the next level, get in touch with Ulster Umpires by sending your contact details to Ulster Umpires Chairperson, Gareth Herron at gareth.herron@gmail.com who will be able to assist you with your development. You can then attend an umpiring course with an exam and eventually one of our Umpire Assessors will grade you over the course. Ulster Umpire assessors will give you great feedback on your game and how you can develop as an umpire. They will also be able to put you in tougher games as you progress. 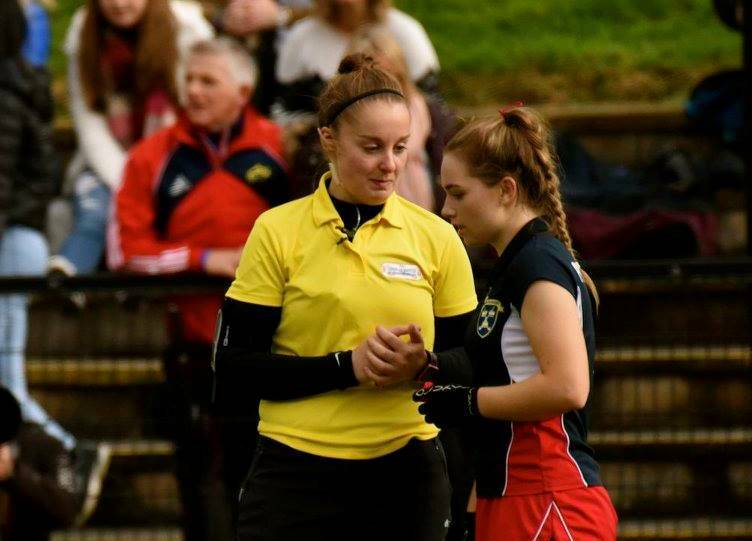 This will give you crucial experience of different situations and pressures that can be expected with umpiring at a high level within Ulster Hockey. Once you and our Assessors feel you are ready for a higher standard and have the necessary experience, the Appointment Secretary will begin assigning you to appropriate fixtures within the Senior Leagues. This will enable you to learn with another senior umpire who will act as a mentor allowing you to learn more about the game as you progress as an umpire. Throughout the season, grading forms are completed by the Ulster Umpires and will enable you to see how far you have progressed in umpiring. As a result you could be advanced in terms of grading as an umpire and may be asked to undertake tougher games on a weekly basis to ensure your development continues. What you need to become an Ulster Hockey Umpire?